The scent of winter is already on the air and with it the winter holidays – a time for giving and receiving gifts. Many consider this to be the most beautiful time of the year; a magical season that softens even the most grumpy and cold-hearted souls. Dream! When we dream, the world looks nicer. But make sure you also live your dreams. Those who dare can achieve anything! 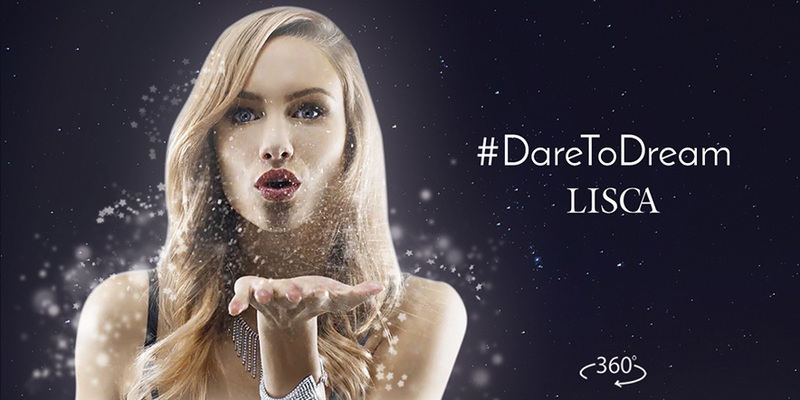 Enter the 360-degree video #DareToDream and let Lisca take you to a magical virtual land, with or without VR glasses. Experience the magic and come face to face with courage, boldness and passion, interwoven with each other in the carefully designed Lisca Selection lingerie. * Main prize – 1 x LISCA gift voucher for 500 EUR. For full 360 VR experience on mobile devices please use YouTube app. Terms and Conditions of giveawy.